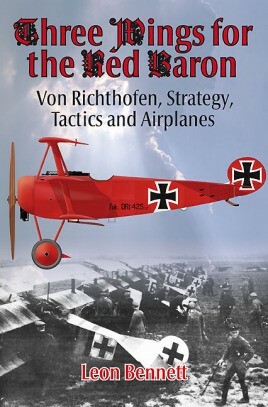 The book starts on April 21,1918, the day the Red Baron died. The only thing we are certain of on that day is Von Richtofen's death. The claims of who shot him down have been argued over for ninety-nine years. The author goes through all of the plausible, and some not so plausible, scenarios. Mr. Bennett does not come down firmly on any side, but leaves it to the reader to pick which scenario fits the actual known facts. The next chapter 'MIT and the triplane' shows us the results of testing in MIT's wind tunnel released in 1916. The results show the triplane as a loser to both a monoplane and biplane in everything except when the planes near stall speed. In this the triplane is the clear winner. The book's whole premise is to find out why Germany, and specifically Von Richtofen, wanted a German triplane. I will say that the book leans heavily in parts on engineering examples and illustrations. This is not a knock on the book. I just want the reader to understand that the book isn't just a prose rundown of how and why the Fokker triplane was built. The book has pictures and diagrams on almost every page to explain to the reader how and why World War I engineers came up with the designs they did. One of the biggest take aways from the book is the fact that engineers across the world were well aware of all of the flaws of their designs, but due to material and lack of horsepower they did the best with what they had. The author shows that the triplane was a slow aircraft compared to its rivals. Wait a minute, in the air isn't speed everything? Mr. Bennett goes on to show how the German strategic and tactical thinking made the triplane a great choice. They chose to fight a defensive war. Another startling fact is how many airplanes the Allies actually built. The difference between the two sides is staggering. When put in that context, it is no wonder that all the Germans could do was to fight a defensive airwar. There is so much to the book I could write for hours and not do it justice. This book is meant for anyone with an interest in the World War I airwar.